This post is really for all the carnivores out there. 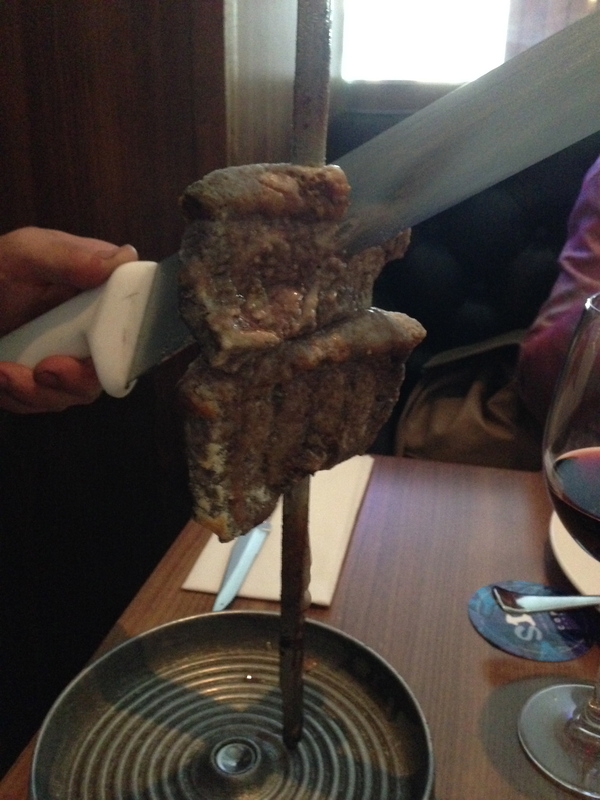 Brazilian steakhouses have been in Toronto for a while now but it was only recently that I finally made my way to one. 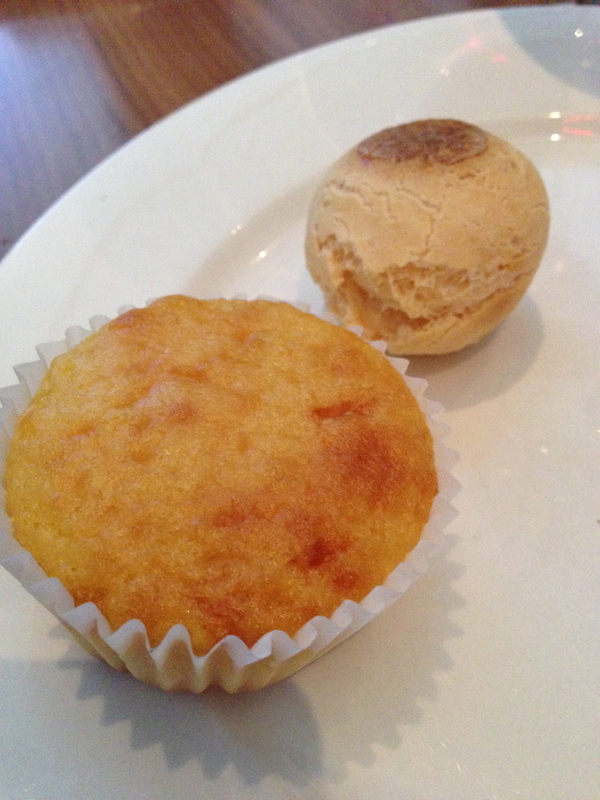 Copacabana opened another location recently, its first, in the heart of downtown. So naturally, I couldn’t resist. Knowing nothing about Brazilian BBQ I was pleasantly surprised at how delicious this form of BBQ was. 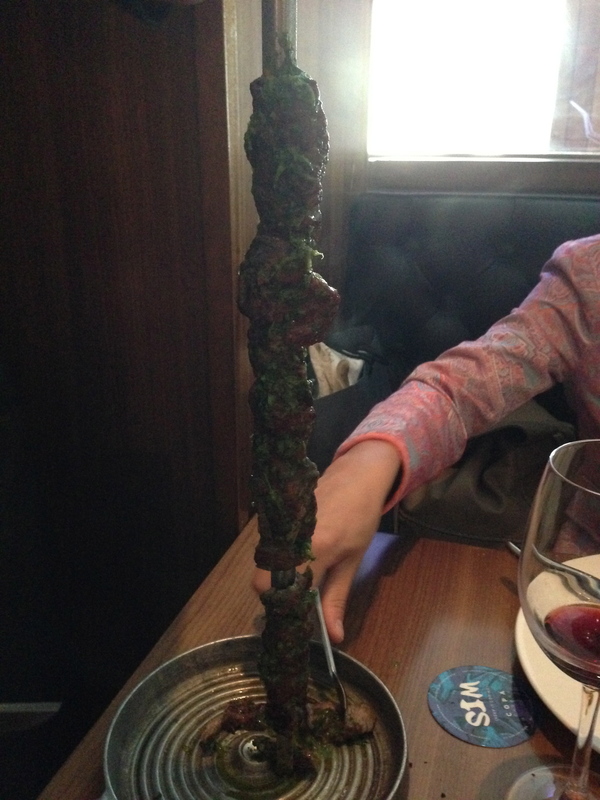 Various cuts of beef, chicken, lamb and pork are grilled on large skewers and then walked through the dining room to be cut table side for diners. 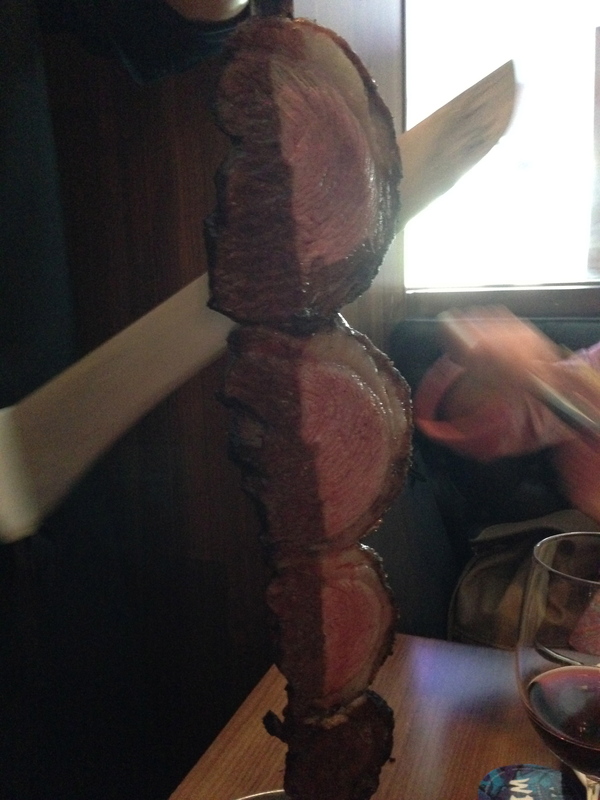 My absolute favourites of the night was Picanha Brazil, Copacabana’s signature cut and the parmesan filet mignon – these two cuts were mouthwatering delicious with so much flavour and meat so tender! They were perfectly grilled to a medium rare. 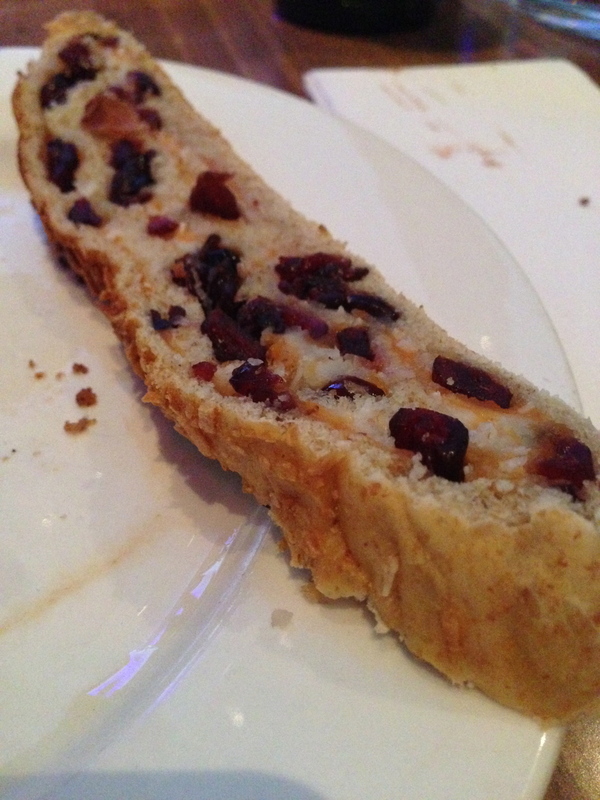 In addition, when you do go, you MUST try the cheddar, cranberry bread baked with a coconut topping. 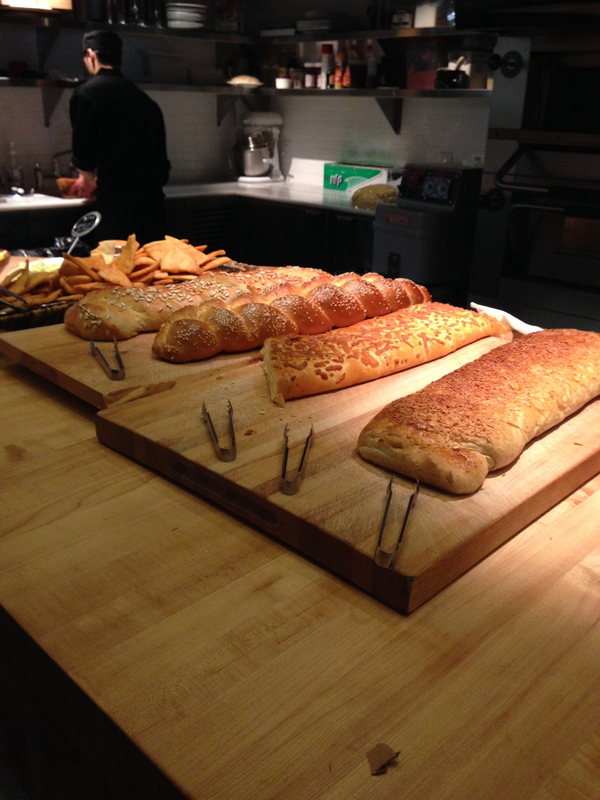 I know bread can be filling but trust me, its worth at least a slice. 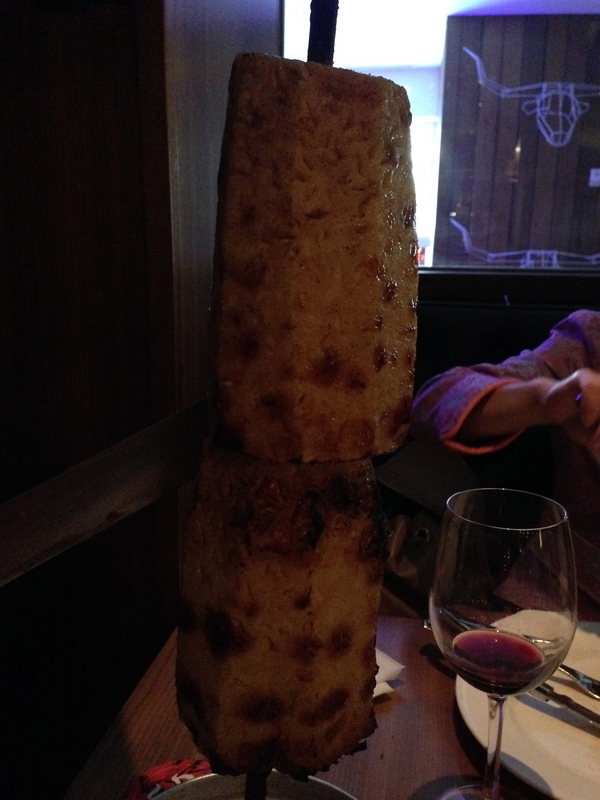 And the best way to finish the meal, with grilled pineapple. 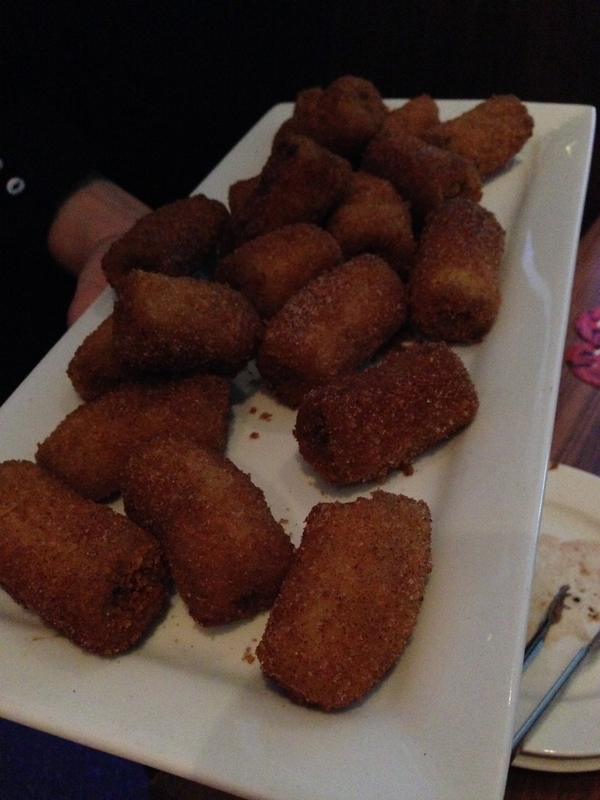 So beautifully caramelized on the outside, I had 5 servings of the pineapple – it was that good! I will definitely be back. 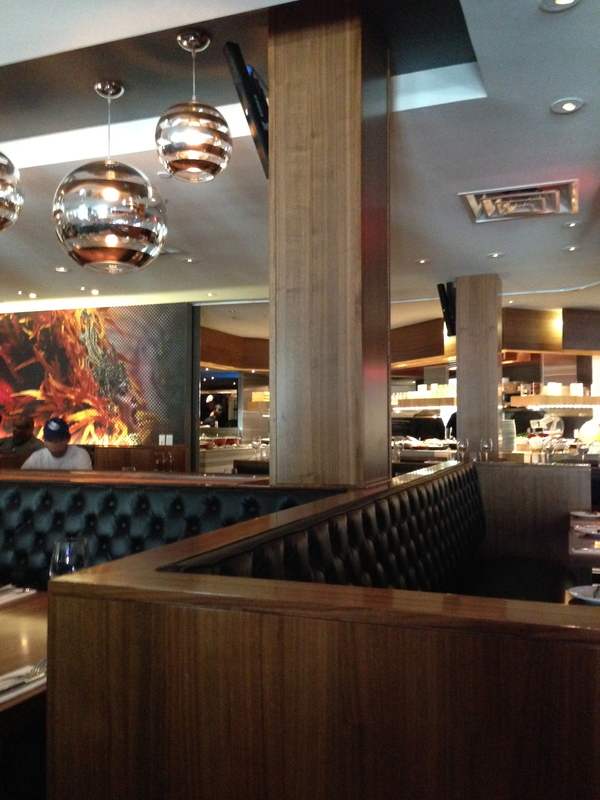 Inside the downtown locale of Copacabana. 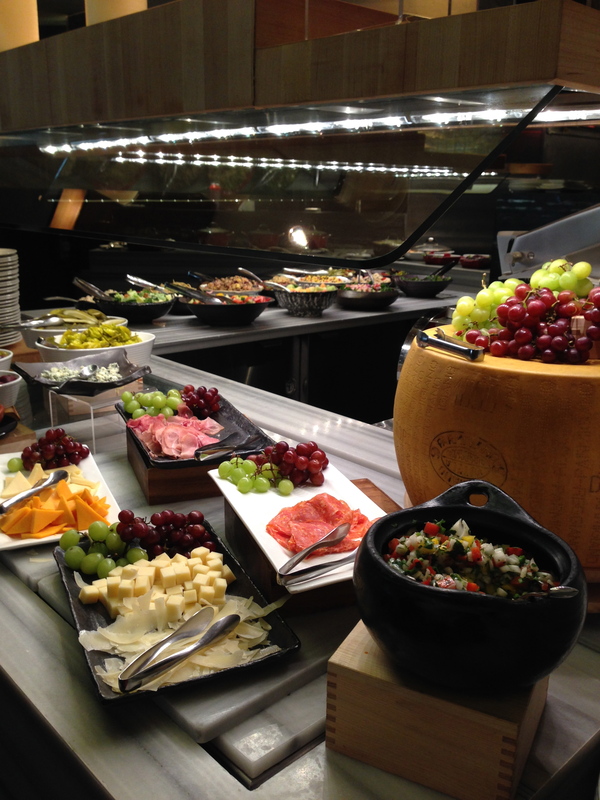 The cold station full with a variety of cold cuts, cheeses and salsa. 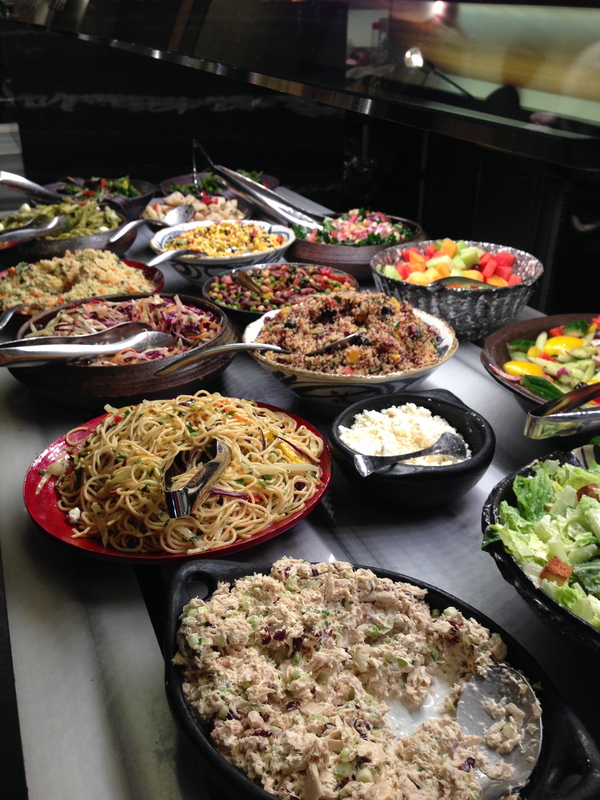 The large salad station with so many different and unique salads. 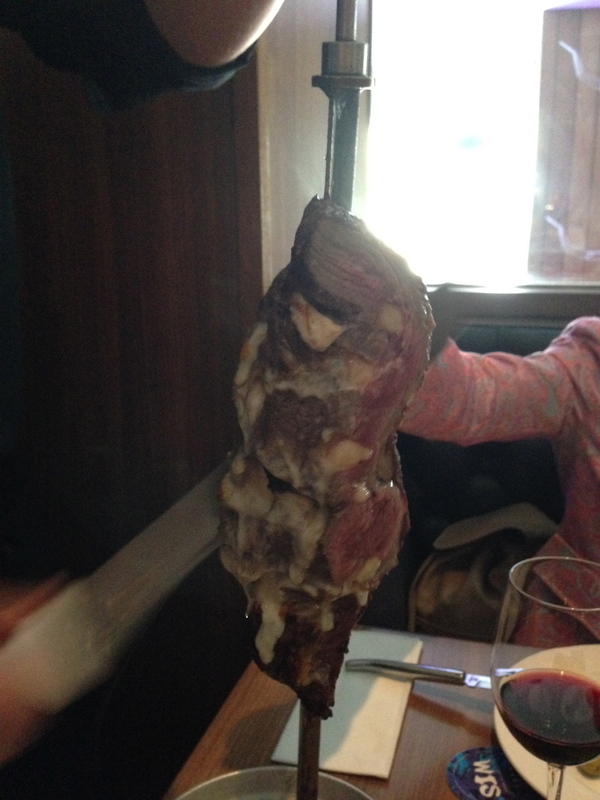 Picanha Brazil – Copacabana’s signature meat. 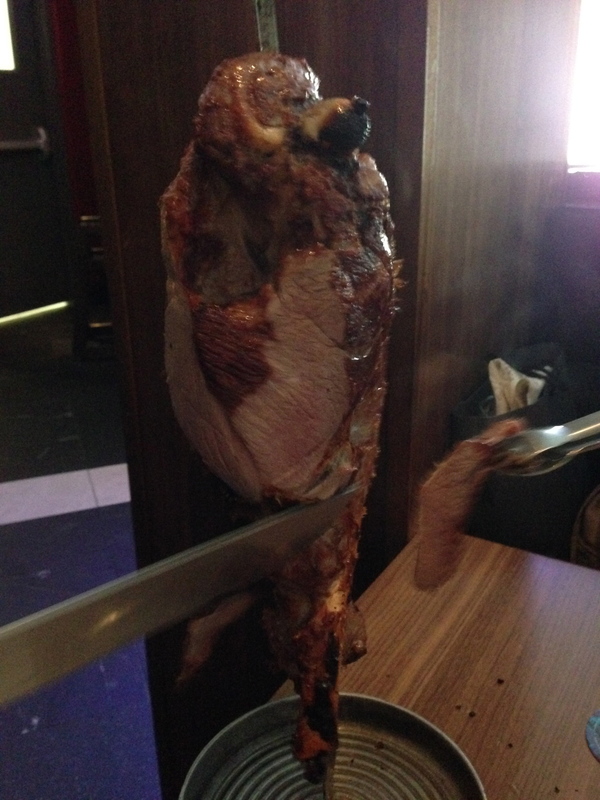 Leg of lamb off the spit. Yummy cheddar and cranberry bread topped with coconut.